This week on the blog, I'm excited to introduce you to one of my Dreamforce co-presenters, Jenevieve Arrigan. She is one of the mentors I met and friends I made during my Appirio chapter. 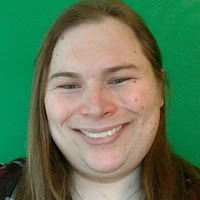 Jenevieve is a Technical Architect and founder of Escapist Reality, a firm focused on video game development, consulting, gamification, writing, video content creation, and real-world adventuring. I'm super jazzed to be speaking about the journey from admin to architect at Dreamforce with Jenevieve, but wanted to learn more about Jenevieve's interests apart from the cloud.... So, nod to SaaSyforce Lauren Jordan, who introduced me to the digital interview concept. Interviews are a great way to learn more about community rockstars. Keep reading to learn more about Jenevieve. Her interview is obviously peppered with helpful Salesforce tips. 1. What is it like to work for yourself? How is your current role different from working at a traditional consultancy? Working for myself is amazing. It’s empowering, it’s liberating, but perhaps most surprising is that it is so relaxing. When I was part of a larger organizations and a more traditional consultancy, I struggled with being someone who was several steps away from decision makers, and I felt powerless to affect positive change. I’m a really empathetic person and it depressed me to see things that I know were negatively affecting team members and clients, things that I felt had solutions, and yet I was blocked by politics, bureaucracy, and my own inability to climb the corporate ladder further. It only has been recently, as I’ve been consulting on my own projects at Escapist Reality, that I noticed how happier I am doing effectively the same work. The big difference is that I’m not wasting significant amounts of psychic energy on negative elements at work that I can’t influence but yet still affect me. So while I’ve taken on a whole new array of stresses starting my own business, I have never been so relaxed in the execution of my profession. 2. How long have you worked in an IT-type function? I first started getting paid to write code when I was high school, writing Visual C++ for my father. But I started supporting myself primarily through IT work while I was in college, initially doing freelance web development, eventually becoming the webmaster of a human services company. So it’s been about 16 years where I was supporting myself through IT-type functions. 3. What did your career journey look like? Feel like? My career journey started with intense hubris, followed by constant learning - sometimes the hard way, and ultimately brought me to a place of confidence and humility. One of the most valuable gifts that my father gave me was the ability to code. I don’t know if he knew how empowering it would be, but the course of my life changed when, as a third-grader, on 386 and MS-DOS, my father started to teach me to code. Turbo Basic was my first language and by fourth grade my friend and I had written our first video game. It was adorable. It was so poorly written, but it worked. And it made me believe that I could do anything with a computer. Throughout my childhood I continued to teach myself code and learn from friends. By the time I went to college, I was confident that I could always get a job in tech; it became my safety-career. It was a hobby and a passion, but knowing that I had a backup plan that was a high-paying, high-demand job allowed me to take a lot of risks through college. Eventually, after eight years, I graduated with a BA in English with a focus on Literary Theory and Creative Writing. I didn’t know it at the time, but it was perfect preparation for consulting. Throughout college, and in my first career afterwards where I was the only web developer at the company, almost all of my technical knowledge was self-taught. I read dozens of books on code, did the exercises, made sure I understood the concept, experimented, and continued to learn. During this time, I learned how to learn. When I eventually joined the cloud-computing consultancy Appirio, I finally found myself feeling like the least capable person in the room. I was confident in my abilities, but I was in awe of the brilliance of the people around me. I had never learned so much, so quickly, in my entire life. It was a truly powerful experience to see what an incredible team looks like. And as my career grew, and I found myself in the positions where people looked to me for help, I tried my best to be available, to give guidance, train and teach, and be a friend. I’ve found that my eclectic background in jobs and education turned out to come together perfectly in the field of enterprise consulting. Being a technical person who is able to communicate successfully to nontechnical people put me a relatively unique position. When I eventually left a large consulting company to start my own, I did so with a confidence that even if my own company never made it to the point of being able to support my lifestyle, I had skills in high demand, and the ability to learn. I can work anywhere in the world as long as I have internet. It’s a super empowering position to be in. 4. Do you have any advice for IT newbies in the Salesforce space? Invest the time and energy to learn. It is easy to say, “always keep learning”, but constant learning comes at a cost. Sadly, realistically, many companies do not make time within the work day for career growth and development, spending a couple of hours a week of non-billable time learning something new. So it often falls on us, in our spare time, to continue to keep pushing the boundaries of our knowledge. Not only will this contribute to promotions and raises, it will keep the work interesting and fun. 5. What is your favorite feature of the platform? The ability for Users to create reports and dashboards, have access to real-time data, and self-service their business needs. I’ve seen far too often companies that, in order for business users to generate a report of their data, users need to put in a request to IT, wait several days, get a report back, see that they need to make changes to the report, and start the cycle again. A week later, they have the data they needed seven days ago. I’m spoiled with Salesforce because I’ve been living with it for so long, but for many people this is just the accepted status-quo. Currently probably lemonade. In the last several years that’s become my go-to non-alcoholic drink. Favorite alcoholic drink is probably Dansk Mjød’s Viking Blod (Viking’s Blood) mead. 7. Favorite city to visit? City you'd love to live in (or already do)? I recently rode my motorcycle around the country and spent some time in Portland, Oregon. That city was amazing and I’d enjoy going back there to visit. But right now I actually am living in my favorite city - Portland, Maine. Before moving here a little over two years ago I spent almost my entire adult life moving to a new city and often a new state every year (if not more frequently). But Portland is perfect. Or at least perfect for me. I think this is where I’ll be for a long time. 8. What did the journey look like to opening your own consulting firm? I would not have been successful if I was isolated. But when I had to write my first SOW, I literally had nothing to start with. I had to figure out what my SOWs should look like, what information they’d contain, how they’d be laid out, and how I’d share them with the client. There is SO many little things that need to be done at the beginning of a company’s journey. But many of them are not completely new to me. I’ve setup and configured Google Apps for a domain for many customers. I’ve used Google Docs professionally for a decade. I’ve read and help create dozens, if not hundreds of SOWs. So this is not uncharted territory for me. Still, now I was putting myself out there in a way that made me feel very vulnerable and scared. But, unlike my time at a larger consultant company, I have so much hope for the future of my company. I can see it growing, making clients successful, producing software enjoyed and appreciated by the end-users, and actively being part of making the world a better place (even if only a little). I don’t need Escapist Reality to become a billion dollar company. I’m not looking for a buyout or an IPO. I’m just interested in making a company that operates with integrity, passion, and fun. If Escapist Reality is able to contribute to making my life more enjoyable and fulfilling, allowing me to be happy and healthy - both mentally and physically, it is a dream made reality. 9. Did you have any mentors along your career journey? Who? How did you find them? Several. Some more aware of it than others, but several of my closest friends are people who are also mentors to me. I’m going to avoid outright naming names to preserve their anonymity, but they are all incredible people. One of my first mentors actually introduced me to Appirio and Enterprise consulting. He was convinced that I would make a great consultant and heavily lobbied to have the company give me a chance. For those first couple of years, his guidance and support were critical to my success and my confidence. And while I don’t necessarily view him as a mentor any more, we are still friends and I will always appreciate the way he helped me and my career. And I bring him up because I think it’s important to know that mentors don’t need to be C-level Executives, or public figures, or people with a Wikipedia page. And they don’t need to be lifelong mentors, though they can be lifelong friends and members of your professional network. A couple of my current mentors are people who also are, or have been, Technical Architects in the Salesforce space. These are people who I also worked with at Appirio. I engaged them as team members, friendly and sincerely, and built a relationship. It was not necessarily my intention for them to become mentors to me, but they became friends with whom I felt comfortable seeking professional advice, and who helped me to continue to become a better professional, and a better person. One of the perks of being part of a larger company is that there are some built in mechanisms to find potential mentors. And while I continue my regular hangouts with them, one thing that I do need to do is start looking for a mentor who will be able to help me in this next stage of starting a company and growing a firm. 10. Any books we should read or podcasts we should listen to? One of my favorite and most professionally influential books that I’ve read is, “The Art of Agile Development: Pragmatic Guide to Agile Software Development” by James Shore. I read this book early in my career and it was the book that made me love Agile. I still recommend it today. 11. Any television shows or movies we should watch? 12. What was the silliest request you've ever fulfilled? Submit your weekly timecard on Fridays even though the workweek includes Saturdays and we often work the weekends. 13. What is the most common request you're happy to fulfill? “Can you explain [something]?” I enjoy training and teaching, and I take a lot of joy in helping others to be empowered and confident. So when people come to me for help, especially if they want to understand something better, if I am able to answer their question I will. 14. Any AppExchange apps/Git repositories worth a nod? 15. Please feel free to fill us in on any other endorsements/topics we haven't already covered that you want to bring up. Life is scary. And there are always reasons not to do something, and not to take a risk. But safety is sometimes a dangerous trap too. Regularly reevaluate if your life, and the way you are spending your time, is contributing to making you the person you want to be. And, if it isn’t, start figuring out how you can shift it so it is. This doesn’t always need to be dramatic changes all at once. And it might even be just taking 10 minutes a week to do something meaningful to you that has been deprioritized from your life. In 10 years that adds up to over 80 hours of additional meaningful time in your life. 16. Certifications worth mentioning? Any roadmap items? I am currently a Salesforce Certified Administrator and a Salesforce Certified Force.com Developer. I do plan to add to my certifications, but at this point I’m not entirely sure what my next target one is. Odds are the next badges will be Salesforce Certified Platform App Builder, Salesforce Certified Platform Developer I & II. Awesome Post!! Keep posting more Blogs. These are a very effective concept. Nice blog and truly well post. It's very helpful for me. Such excellent content and thank you. Keep post and adding more unique concept. Thanks for sharing this blog with us. I really enjoy reading your post. Keep Doing. Thanks for the excellent article. Very Informative blog. Why should you care about External IDs?